FixLine is a complete repair process. The points of advantage of the FixLine include the DryTronic technology and the SPAP Process that offer the ability to work continuously on the repair without waiting for flash off and drying. This process also provides benefits to the disassembly, reassembly and metal work phases; in fact, there are no longer interruptions because of the preparation and painting. 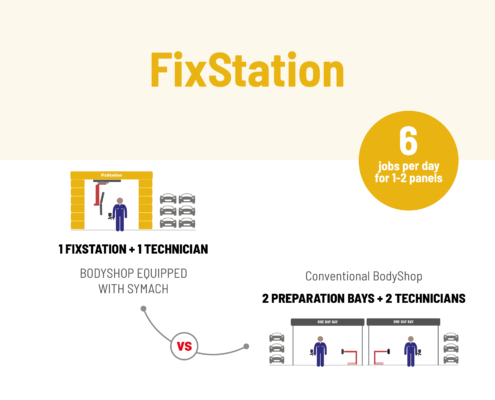 The FixStation, a body shop in one box, is a modern and innovative solution to ensure high productivity and fast delivery of one – or two – panel repairs and the key-to-key time is guaranteed in half a day. It is both a work station and a spraybooth, perfect to complete the equipment of a mechanical workshop or a car dealer. 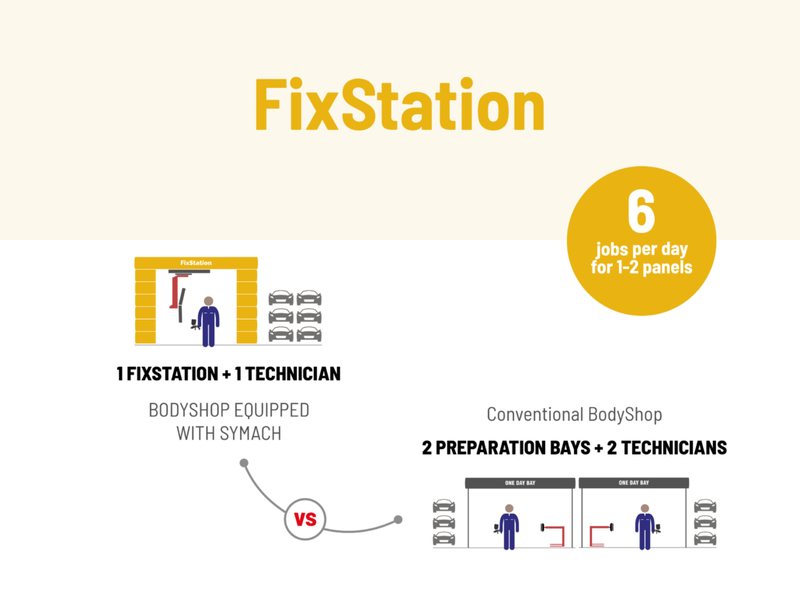 Fixstation is a workstation where an operator with multiple skills, independently and without any movement of the vehicle, can perform 4 repairs a day, 1 every 2 hours on average , ensuring the delivery of the vehicle in less than half a day. 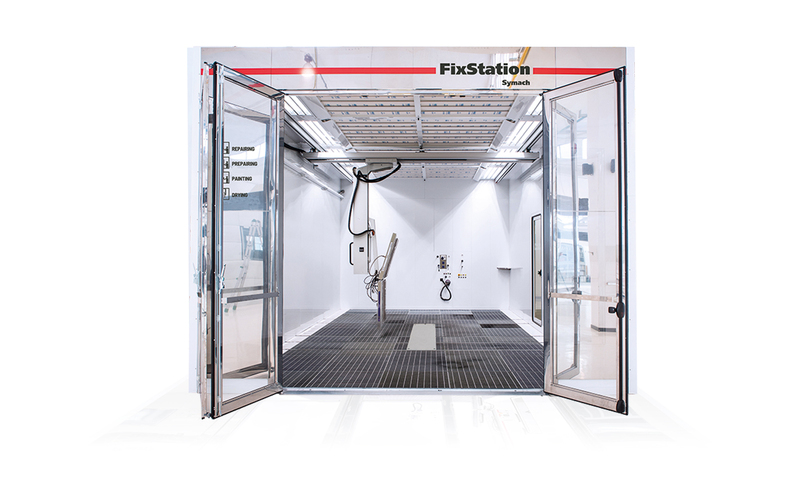 Equipped with a Flydry robot, FixStation works as a paint booth, preparation area and metal repair station: it is literally a ‘bodyshop-in-a-box’, and includes a Paint Mixing Room and a Multibox vacuum and sanding system.